Work included a new driveway with center island opposite front entrance. Portions of the island perimeter included a stacked stone garden wall to permit earth sculpturing of the existing grade. A boulder anchors the island continuing the rhythm of the alternating roof line in background, visually blending site to residence. 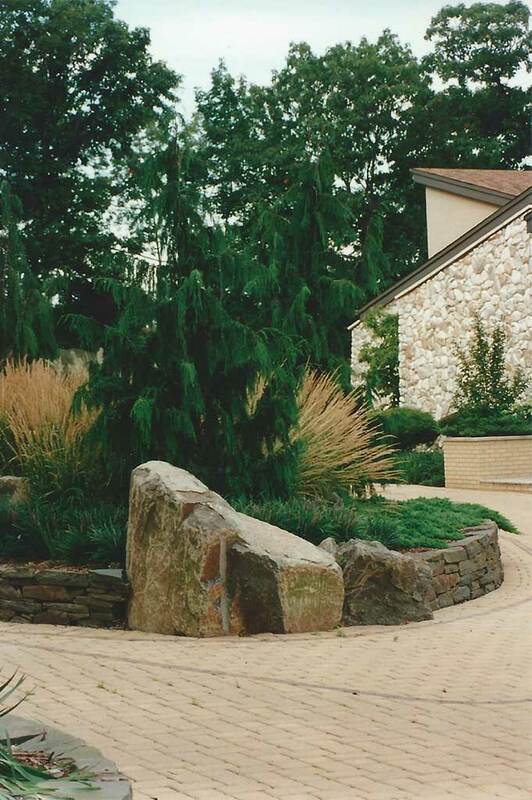 Specimen evergreen trees and groundcovers were combined with ornamental grasses to complete the island.